Thank you for your interest in dealing for On the Go Casino® Inc. The number one quality we seek in our casino party dealers is the ability to create a fun environment for our guests. You need to know the rules of the game and how to explain them clearly to players, as many people at these types of events have never played before. We are always looking for people with outgoing personalities as new casino party dealers. If you would like more information, please fill out the form below and we will contact you. 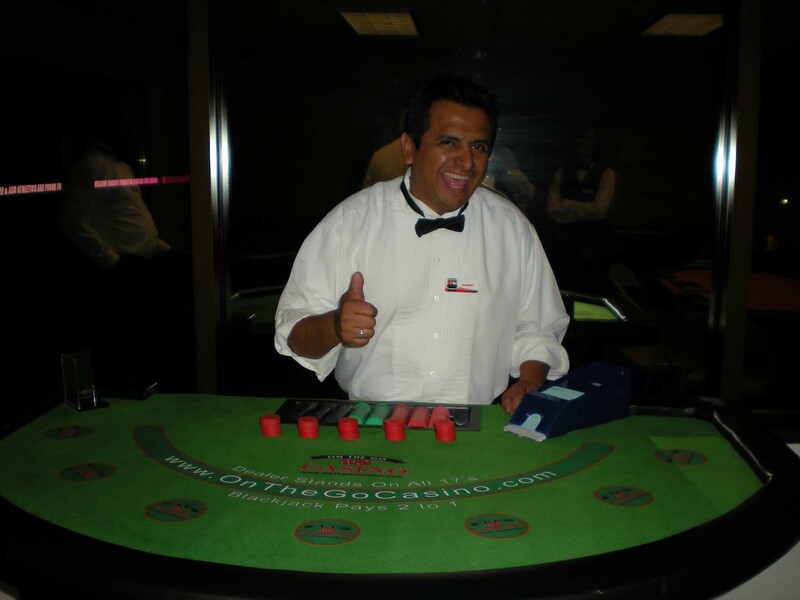 We have positions for part time independent contractors for casino party blackjack dealers, casino party roulette dealers, casino party poker dealers and casino party craps dealers. Unfortunately, due to IRS regulations we cannot provide casino party dealer training. If you have a thorough knowledge of a particular game and would like to learn to deal, describe your experience in the comments field below and we will try to give you some resources for where to receive training.